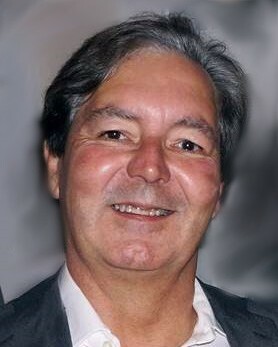 Joseph “Buddy” Dugas III, father to Hilary, Olivia, and Isabelle Dugas, son of Dr. and Mrs. Joseph Dugas Jr, soul mate to Terre Carter, passed away peacefully in his Kenner home at the age of 59. A strong and wise man since his youth, Buddy spent his life providing facts, advice, and most importantly, love to many. As a life-long resident of New Orleans, Buddy received his degree from Loyola Law School and practiced for 25 years. He was a father beyond the Dugas name, and will live on in spirit and memories within the lives of Hilary Dugas (Amber), Olivia Dugas Borrello (Vincent), and Isabelle Dugas, along with the mother of his children Therese “Terri” de Silva Dugas, love-of-his-life Terre Carter and her children, Christopher and Matthew Carter, and the hearts and minds of everyone he came in contact with. Relatives and friends are invited to attend the Memorial Service at Greenwood Funeral Home, 5200 Canal Blvd., New Orleans, LA 70124 on Thursday, January 31, 2019 at 1:00 PM. Visitation will begin at 11:00 AM. The burial service will be private.